Note Pads | SG Printing Inc. 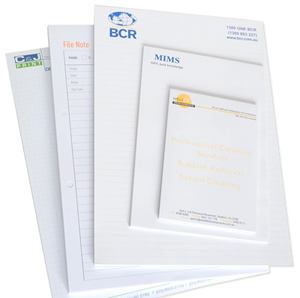 Note pads can be useful tools in your office and also a good promotional item to leave behind with clients. Make sure your product or service is front of mind in your customers’ office.